Innovative drugs eribulin and trabectedin are effective in the treatment of soft tissue sarcomas (STS) – rare, but severe malignancies. Aim of the study. To perform the pharmacoeconomic evaluation of these two agents used with the second and subsequent lines of chemotherapy in common/metastatic STS, in theRussian Federation. Materials and Methods. Direct, indirect and meta-analytic comparisons were applied to the results of two multicenter, randomized phase III clinical studies, on effectiveness and safety of trabectedin and eribulin as compared with dacarbazine for the treatment of severe anthracyclines-resistant lipoand leiomyosarcoms. The 12-month survival rate and the occurrence of adverse events were the endpoint parameters in this study. The impact on the budget and the “cost-effectiveness” index were also analyzed. Results. The relative number of patients, who survived for 12 months and continued their treatment with the given drug, was 53% in the eribulin group, and 18% in the trabectedin group. The total number of recorded adverse events was not significantly different between eribulin and dacarbazine. The incidence of adverse events (including haematological) in the trabectedin group was significantly higher than that in the dacarbazine group (lg 95% CI> 1.0). The cost values of different treatment doses of eribulin got into a zone of 1-2 willingness to pay threshold (WPT). The cost of trabectedin treatment was higher than that of eribulin, and even at mid-optimal doses (1.5 mg/m2 ) exceeded 2xWPT. The cost estimating relationship (CER) was 0.69 for trabectedin, and 0.15 for eribulin. Conclusion. In the Health Care system ofRussia, eribulin has a more favorable pharmaco-economic profile than trabectedin. Since STS is viewed as an orphan disease, both drugs are considered important and promising for the Russian oncological services. Mazin Pavel Vladimirovich – assistant to the rector, assistant Professor, Department of pharmacology. 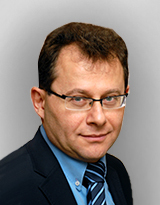 Sheshunov Igor’ Vyacheslavovich – MD, Professor, rector. Mazina Nadezhda Konstantinovna – MD, head of the Department of pharmacology. Markova Elena Mikhailovna – senior researcher of the Department of pharmacology. 1. Davydov M. I. Vestnik RONTs im. N.N. Blokhina RAMN. 2011; 22 (3: pril. 1): 93-123. 2. Blay J., Sleijfer S., Schoffski P., Kawai A., et al. International expert opinion on patient-tailored management of soft tissue sarcomas. European journal of cancer. 2014; 50: 679-689. 3. Fedenko A.A. Strategy of drug treatment of soft tissue sarcomas MD diss. [Strategiya lekarstvennogo lecheniya sarkom myagkikh tkanei. Avtoref. diss. …dokt. Med. Nauk (in Russian)]. Moscow. 2016. 4. Kaprin A.D., et al. Malignant neoplasms in Russia in 2015 (morbidity and mortality) [Zlokachestvennye novoobrazovaniya v Rossii v 2015 godu (zabolevaemost’ i smertnost’) (in Russian)]. Moscow. 2016. 5. Kaprin A.D., et al. State of cancer care in Russia in 2015 [Sostoyanie onkologicheskoi pomoshchi naseleniyu Rossii v 2015 godu (in Russian)]. Moscow. 2016. 6. Statistics of malignant neoplasms in Russia and CIS countries in 2012 Under the editorship of M. I. Davydov [Statistika zlokachestvennykh novoobrazovanii v Rossii i stranakh SNG v 2012 g. Pod red. M. I. Davydova (in Russian)]. Moscow. 2014. 7. Avksent’eva M.V., Vorob’ev P.A. Klinicheskaya farmakologiya i farmakoekonomika. 2009; 3: 34-40. 8. Gorbunova V.A., Aliev M.D., Fedenko A.A., Bokhyan B.Yu., Istomin I.A. Sovremennaya onkologiya. 2010; 3: 71-74. 9. Somaiah N., von Mehren M. New drugs and combinations for the treatment of soft-tissue sarcoma: a review Cancer Manag Res. 2012; 4: 397-411. 10. Demetri G.D., von Mehren M., Jones R. L., Hensley M. L., et al. Efficacy and Safety of Trabectedin or Dacarbazine for Metastatic Liposarcoma or Leiomyosarcoma After Failure of Conventional Chemotherapy: Results of a Phase III Randomized Multicenter Clinical Trial. J Clin Oncol. 2016: Mar 10; 34 (8): 786-93. 11. Schöffski P., Chawla S., Maki R.G., Italiano A., et al. Eribulin versus dacarbazine in previously treated patients with advanced liposarcoma or leiomyosarcoma: a randomised, open-label, multicentre, phase 3 trial. Lancet. 2016 Apr 16; 387 (10028): 1629-37. 12. De Sanctis R., Marrari A., Marchetti S., et al. Efficacy of trabectedin in advanced soft tissue sarcoma: beyond lipoand leiomyosarcoma. Drug Design, Development and Therapy. 2015; 9. 13. Federal Law No. 323 of 21. 11. 11. “About bases of health protection of citizens in Russian Federation” with changes and additions from 03.07.2016 [FZ №323 ot 21. 11. 11. «Ob osnovakh okhrany zdorov’ya grazhdan v Rossiiskoi Federatsii», s izm. i dop. ot 03.07.2016 (in Russian)]. 14. Blay J., Italiano A., Ray-Coquard I., et al. Long-term outcome and effect of maintenance therapy in patients with advanced sarcoma treated with trabectedin: an analysis of 181 patients of the French ATU compassionate use program. Blay et al. BMC Cancer. 2013; 13-64. 15. Blay J., Leahy M., Nguyen B., et al. Randomised phase III trial of trabectedin versus doxorubicin-based chemotherapy as first-line therapy in translocation-related sarcomas. European Journal of Cancer. 2014: 50: 1137-1147. 16. Chawla S., Schöffski P., Grignani G., et al. Subtype-specific Activity in Liposarcoma Patients From a Phase 3, Open-label, Randomized Study of Eribulin Versus Dacarbazine in Patients With Advanced Liposarcoma or Leiomyosarcoma. Poster No. 163. Presented at the ASCO, June 3-7, 2016; Chicago, Illinois. 17. Kawai A., Araki N., Naito Y., Ozaki T., et al. Phase 2 study of eribulin in patients with previously treated advanced or metastatic soft tissue sarcoma. Japanese Journal of Clinical Oncology. 2016; 1-8. 18. Goryainov S.V., Rebrova O.Yu. Meditsinskie tekhnologii. Otsenka i vybor. 2011; 3: 9-12. 19. Mantel N, Haenszel W. Statistical aspects of the analysis of data from retrospective studies of disease. J Natl Cancer Inst. 1959; 22 (4): 719-748. 20. WinPepi Portal. URL: www.brixtonhealth.com/pepi4windows.html. Accessed: 06.01.2017. 21. Yagudina R. I., Kulikov A.Yu., Nguen T. Farmakoekonomika. 2011; 4 (1): 7-12. 22. Yagudina R. I., Kulikov A.Yu., Metelkin I.A. Farmakoekonomika. 2012; 5 (4): 3-8. 23. Mosteller RD. Simplified Calculation of Body Surface Area. N Engl J Med. 1987 Oct 22; 317 (17): 1098. 24. Patel V., Kontoudis I., Tremblay G. An indirect treatment comparison of eribulin versus trabectedin for the treatment of advanced soft tissue sarcoma. 21st ISPOR Annual international meeting, Research Poster Presentations. 2016; May 21-25. 25. The Russian pharmaceutical portal. URL: www.pharmindex.ru. Accessed: 06.01.2017. 26. A website about the statistics of the population. URL: www.statdata/russia. Accessed: 06.01.2017. 27. The order of the Government of the Russian Federation from December 26, 2015 No. 2724-R [Rasporyazhenie Pravitel’stva RF ot 26 dekabrya 2015 g. №2724-r (in Russian)]. 28. Angarita A., Cannell A., et al. Trabectedin for inoperable or recurrent soft tissue sarcoma in adult patients: a retrospective cohort study. BMC Cancer. 2016; 16-30.